A combination of measurement requirements, physical limitations, and environmental conditions usually determines the best choice of cable type. Brüel & Kjær provides a wide variety of high-quality cables and adaptors to ensure optimal electrical connections throughout the measurement setup. Most cables employ a combination of a PTFE* insulator and PFA# jacket, providing advantageous properties such as low coefficient of friction, mechanical strength, excellent dielectric insulation, wide temperature range, low gas permeability, and chemical and flame resistance. In addition to the listed cables, Brüel & Kjær supplies cables for various extreme temperature and chemical environments. Please consult your local representative for further information. The Super Low Noise (SLN) and Low Noise (LN) cables feature Brüel & Kjær’s proprietary and unique noise treatment, which has set the industry standard for cables used with charge sensors (high-impedance) to avoid triboelectric noise. The low-cost cables cover flexible industry standard coaxial cables only recommended for sensors with integrated electronics. In addition to the standard cable lengths, which are available from stock for immediate shipment, Brüel & Kjær offers cables with custom cable lengths with a ±0.01 m tolerance. Please follow the guideline below for ordering information. The Super Low Noise (SLN) and Low Noise (LN) cables feature Brüel & Kjær’s proprietary and unique noise treatment, which has set the industry standard for cables used with charge sensors (high-impedance) to avoid triboelectric noise. 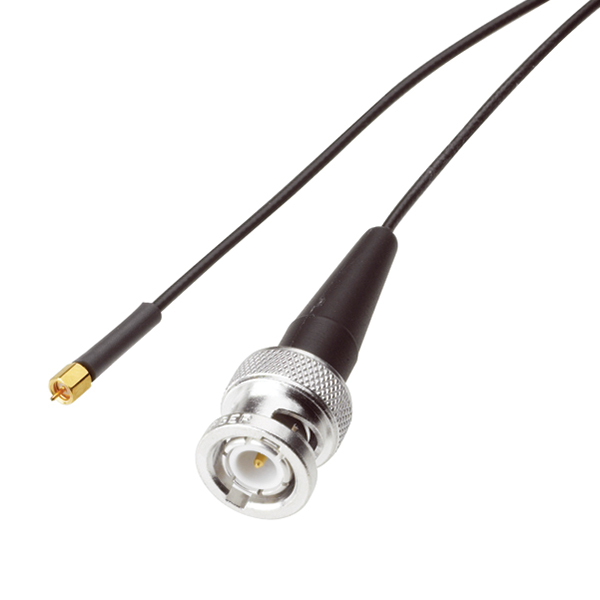 The low-cost cables cover flexible industry standard coaxial cables only recommended for sensors with integrated electronics. In addition to the standard cable lengths, which are available from stock for immediate shipment, Brüel & Kjær offers cables with custom cable lengths with a ±0.01 m tolerance.